- A powerful performance with 20,000 lm of high brightness and high resolution. - Easy projector setup and handling due to the compact size, low weight and standard power supply support. - The ability to project onto non-flat surfaces. - A multi-lamp system that provides maximum reliability against blackouts. 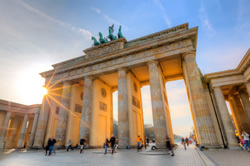 In October 2012, the people of Berlin and visitors from all over the world were able to catch a glimpse of an exciting new Brandenburg Gate. Bright and colorful video art made for the people of Berlin was designed specifically for the 2012 Festival of Lights. The gate was brought to life when Panasonic PT-DZ21K projectors with 20,000 lumens of brightness projected a vibrant mix of colors every night during the festival. It takes place each year in October, where for 12 consecutive nights, Berlin's world famous landmarks, cultural monuments, historical buildings, streets and other locations become transformed through light, projection and events. Extraordinary illuminations, light projection and light objects are presented by many local and international lighting artists. Working with light is still an emerging form of artistic and cultural expression, and the Festival of Lights offers a unique platform for visual artists. "Light is life, light is energy, light is able to speak all of the world's languages, and light connects people," said the native Berliner Birgit Zander. Her goal was to take the theme of "Light" and establish a world-renowned international public event for her hometown of Berlin - one that would transform the city itself into a stage, making its landmarks and buildings the stars of the show, and drawing people from all over the world. The Festival of Lights has become a magnet for the tourism industry as well as a significant economic factor. around 2 million guests to the city. 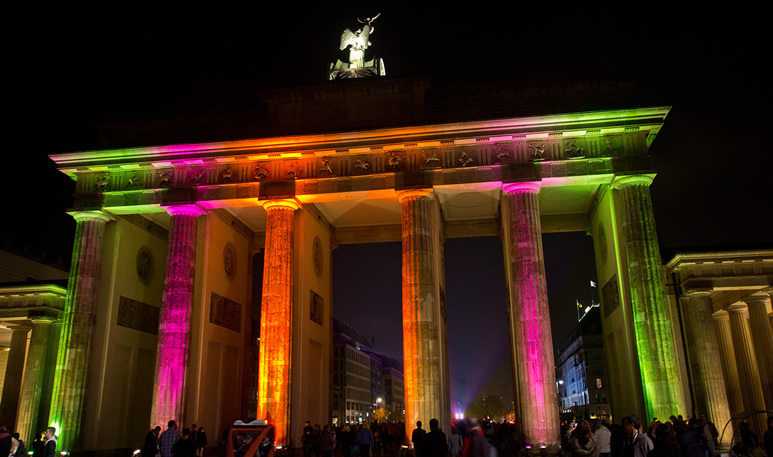 For this year the installation at the Brandenburg Gate was developed into the flagship attraction of the festival. 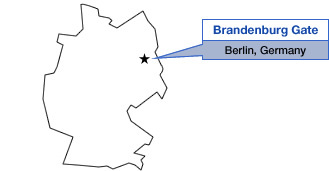 Berlin's most famous landmark, the Brandenburg Gate, has been an icon throughout the ages. Erected in 1871 to express Berlin's pride and power, it became the symbol of Germany's partition after the Second World War. to the re-unification of Germany as one country. side of the Brandenburg Gate from the Pariser Platz. was shot during a 2-month production period. does not provide an even projection surface, so the projection content requires geometric adjustment. "a projector with 20,000 lumens of brightness and onboard geometric adjustment was exactly what we needed. 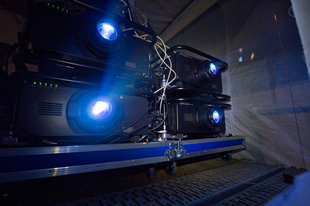 With the innovative four-lamp system, the projectors provided high reliability against failure. This was seen as essential for an installation with such strong exposure. 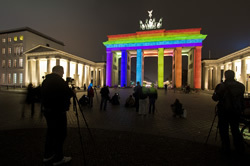 Four PT-DZ21K, with 20,000 lumens of brightness, were installed in front of the Brandenburg Gate. 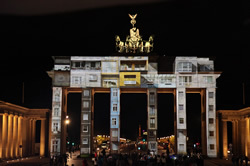 Residents and visitors in Berlin experienced the Brandenburg Gate being brought to life with the vibrant 3D projection mapping, which was the first attempt in the Festival of Lights. 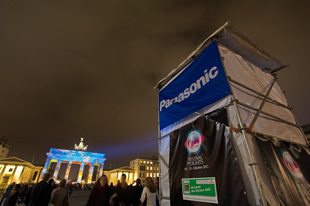 And Panasonic's PT-DZ21K projector proved once again its superior performance in the events sector, creating a new visual experience for Berlin’s historical and cultural landmark.